With African fashion on the rise, Hannah Pool provides a guide to some of the continent's hottest designers and fashion shows. When Franca Sozzani, editor-in-chief of Vogue Italia, dedicated the May 2012 issue of L'Uomo Vogue to 'Rebranding Africa', she cited a desire to reflect a continent that was ‘creative and confident of its own strengths’. Leaving aside the question of whether or not Africa needs rebranding, the fact that fashion royalty such as Sozzani have turned their gaze to Africa tells you how exciting the continent's fashion scene is right now. Sozzani is not the only one to be enjoying a love affair with all things African. Luxury labels such as Gucci, Burberry and Balenciaga all recently showed African-inspired collections. While it's heartening to see designer labels awaken to African creativity, the really exciting work is being done by African designers themselves, both on the continent and in the diaspora. Labels such as Bestow Elan (Ghana), Gloria Wavamunno (Uganda) and Jewel by Lisa (Nigeria) are moving from lesser-known to much-sought-after in fashion circles. Meanwhile, Nigerian designer Duro Olowu is a favourite with Michelle Obama. ‘The use of African fabrics by big labels like Burberry has helped to promote their usage and acceptance and brought them to the mainstream,’ says Samson Soboye, stylist and founder of Soboye boutique in Shoreditch, which specialises in African and African-inspired designers, including NKWO, Shollyjaay and Ituen Basi. ‘I love Ituen Basi for looking at Ankara in a different way and giving it a new lease of life,’ says Soboye. Ituen Basi is one of the many designers to have shown at Africa fashion week in Lagos, which is organised by ARISE magazine. A selection of the best African designers also take part in a spectacular show at New York Fashion Week. 'The forthcoming spring/summer 2013 NYFW show features Savile Row stalwart Ozwald Boateng, adire expert Maki Oh, resort-wear queen Tiffany Amber and sports luxe pro Tsemaye Binitie, plus South Africa's Gavin Rajah, who excels at floaty, romantic gowns,’ says editor of ARISE, Helen Jennings. Events such as the ARISE fashion shows, Africa Fashion Week London and the Southbank Centre's recent Africa on the Catwalk show, part of the month-long Africa Utopia festival, play a huge part in diluting some of the myths surrounding African fashion – namely, that it's all about prints. 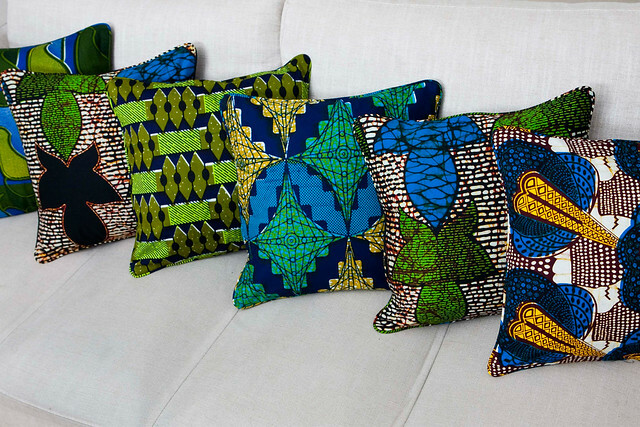 Traditional fabrics such as Aso Oke, Kente and Adire are being reinvigorated by contemporary designers. ‘Designers such as Kemkem Studio, Ituen Basi and Buki Akib give these fabrics a new lease of life,’ says Ola Shobowale, creative director of Africa Utopia's Africa on the Catwalk show. ‘The younger generations are looking into their parents’ and grandparents’ wardrobes and using them as reference points, adding their own spin,’ says Laurence Kanza, whose interiors label La Petite Congolaise, recently featured in a pop-up African boutique at the Southbank Centre. This dynamic, by which the traditional influences the contemporary, has always existed in African fashion, but it has only recently become commercial. It is this duality of identity and aesthetic that makes contemporary African fashion so exciting. In Nigeria annual fashion consumption spend is thought to be in excess of £700 million (according to tax-free shopping company Global Blue). At 28 years old, British Ghanian designer Ozwald Boateng became the youngest, and first black, tailor on Savile Row (in 1995). When Somali supermodel Iman first came onto the fashion scene (in 1975), photographer Peter Beard claimed she was an illiterate cowherd, when in fact she was a middle-class university-educated diplomat's daughter, fluent in 5 languages. Two of fashion's ionic designers are African-born. Yves Saint Laurent, born in Algeria in 1936, directly referenced his heritage in his 1967 spring/summer African collection. Tunisian-born couturier Azzedine Alaia also draws on his African origins in his work. While Nigeria, Ghana and South Africa currently dominate the scene, African fashion is truly pan-continental. Kenya, Zimbabwe, Angola, Tanzania, Botswana, Mozambique, Morocco, Cameroon, Gambia, Ethiopia, Ghana are just some of the countries hosting their own fashion weeks. Hannah Pool is Features Editor at ARISE Magazine. Photo courtesy of Jackie King/I'mPOSSIBLE. I'm a particular fan of the west african style prints, I really think they brighten up the place and bring something special! It also has a real identity of its own.